Lime Crime has surfaced as one of the major makeup producers of 2016. Their bright eye shadows are not the only eye popping thing about them. Lime Crime is vegan friendly, meaning that no animals are harmed or tested on. They also are produced in Los Angeles, California. 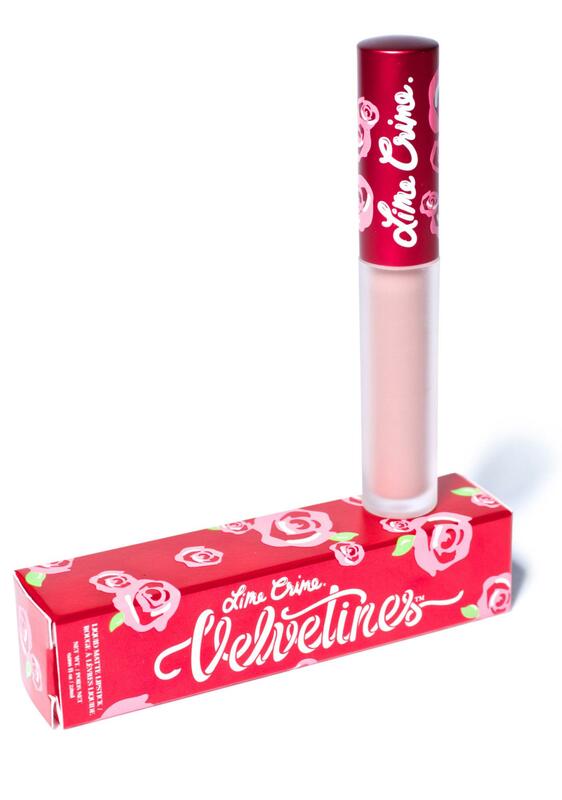 Lime Crime cosmetics have become a cult favorite and leader on the digital world. Doe Deere, the founder, has devoted her time to producing this one of a kid brand voicing a rebel attitude to show all consumers that everyone can be who they are with Lime Crime cosmetics. Deere invented her cosmetics line right before Halloween in 2008 while searching for the right makeup for her costume. She pulls inspiration from unicorns to provide that magically and creative feeling that is wanted by her users. The fun website shows you the bright colors that are what helps this become a cult favorite makeup provider. Go today to LimeCrime.com and check out their cosmetic line that everyone craves, and you can sign up for their mailing list for great discounts and releases. All products get free shipping once you spend over $50. Amazon, ASOS, and Doll’s Kill are some of the websites that sell Deere’s product, but her line is expanding quickly hitting many stores due to demand. As this cosmetic line makes its way quickly overseas, do not miss out on having the product first like so many other readers have done already. Many makeup lovers have followed the product on social media. Following them on social media can show you how other individuals wear their makeup. You can also see the current discounts and new products that are coming out on their line through the official Lime Crime Tumblr account. But the official Lime Crime blog curated by Doe Deere is also a great resource. Find that here. It is easy to see why individuals are loving the makeup. If you want to see why they enjoy this vegan friendly, brightly inspired ,makeup, make sure you go see for yourself on why it is quickly on the rise and a cult favorite. Between work, home and your personal life, heaven knows you already have enough stress in your life. Hair care should be the least of your worries; it should be an opportunity to refresh your hair and revitalize your senses. From the moment you open the bottle to the moment you are ready to wash your hair again, WEN by Chaz Dean Conditioning Cleanser does just that. This hair care marvel contains no harsh detergents or chemicals. Only natural botanicals are used to create this light, moisturizing formula that improves the health of your hair. Hair becomes shinier, stronger, sleeker, and smoother. Even hair color looks more vibrant, as pigment more evenly coats each strand of hair. Unlike many other hair care lines, the WEN by Chaz Dean Sweet Almond Mint Cleansing Conditioner is a luxurious and nourishing treatment for all hair types and textures, including African American hair. Chaz Dean, the mastermind behind the Wen hair revolution, quickly rose to prominence in the hair care industry, becoming a manager and buying the Bel Air salon where he began his career. Specializing in cutting and color, Chaz rapidly gained loyal celebrity clients. Once he relocated his salon to Hollywood and renamed it the Chaz Dean Studio, Chaz developed his flagship product, WEN by Chaz Dean Conditioning Cleanser. This innovation in hair cleansing and hydration took the hair care world by storm and was soon followed by an anti-frizz styling crème and a nourishing mousse. Today, the WEN by Chaz Dean hair care line contains a total of five products in luxe Sweet Almond Mint, Pomegranate, and Lavender formulations. No matter which WEN by Chaz Dean product you choose, your hair will look and feel silky, shiny, and strong. The products are available on eBay and QVC for online purchase. A recent article by PR Newswire discusses James Dondero’s contribution to Southern Methodist University (SMU). Known as co-founder and president of Highland Capital Management L.P., Dondero is now taking on an additional role as an Executive Board Member of SMU. The article explains why Dondero is a new addition to SMU and how he will help the school. Before discussing the article, however, it is important to mention some of Dondero’s past achievements, shedding light on how much he has accomplished in his very successful career. On Highland Management Capital website, it lists some biographical information about Dondero. This information is helpful in knowing what Dondero has specialized in when it comes to finances. His website bio mentions how Dondero has over 30 years of experience in credit and equity markets, with a focus on high-yield and distressed investing. With this experience, Dondero would inevitably form Highland Capital in 1993. According to PR NewsWire, It is James Dondero’s purpose for Highland Capital to specialize in Collateralized Loan Obligation, which has put them at the forth-front for retail-investors. Beyond his involvement with Highland Capital, James Dondero is also a part of other businesses. He serves as Chairman of Cornerstone Healthcare, CCS Medical and Nexbank, as well as a handful of other businesses. His involvement in these businesses signifies how knowledgable as well as respected he is around the Dallas community. Dondero’s involvement at Highland Capital has led to him and Highland Capital achieving multiple awards. Some of the awards includes Morningstar’s 5-star designation for Global Allocation in 2014, the Lipper Award for Floating Rate Opportunities in 2014, and Morningstar’s no. 1 ranked Healthcare Long/Short Equity Fund in 2014. These awards addresses the success of James Dondero and what he has been able to achieve at Highland Capital. It shows how influential he is amongst different organizations. The PR Newswire article only further demonstrates the success of James Dondero. As an Executive Board Member of SMU, it continues to show how Highland Capital supports SMU through scholarships as well as Dondero’s involvement. It addresses how committed Dondero is in helping others achieve success. Mike’s company, Swiss Start-Up Factory, welcomed a new partner recently. Michael Hartweg will be assisting SSUF with their accelerator program. The program is designed to give support to young startup companies that may not have all the tools and knowledge to succeed in the Swiss business world. The program is especially suitable for any startup company that specializes in digital technologies. Hartweg wants there to be a better selection of startups that the company deals with. He will be assisting in the selection and evaluation of enabled startups that will receive support. The company is currently focused on Fintech startups. It has even partnered with Geneva-Fintech Accelerator Fusion to ensure that his Accelerator Program launches as best as it can. Mike Baur co-founded Swiss Start-Up Factory in 2014. He had already been the banking industry for over 20 years by the time SSUF was up and running. He brings his vast knowledge of fundraising and financing rounds to SSUF to offer their clients the best support he can. Swiss Start-Up Factory is on a Zurich’s most popular acceleration companies. The company is constantly looking for digital entrepreneurs that have a high probably of thriving in their respective industry. SSUF is willing to provide same-day opportunities that utilize their Swiss and global network. The Accelerator Program is a three-month-long program that any qualifying entrepreneurs can participate in. The program offers services, group coaching, and one-on-one mentoring in an office space right in the heart of Zurich. The reason they are so focused on Fintech at the moment is because of how many startups it has produced in Switzerland. But no matter how many startups are produced by Fintech, many of them don’t have the potential to survive in the global marketplace. Mike Baur and Hartweg hope that by using SSUF’s programs and network, the smaller startups might have a chance at success. SSUF is much focused on execution and critical authority, which promotes the best talents can ensure the right issues are tracked. Baur, in particular, hopes that this partnership will strengthen the innovative power and expertise of Fintech further. It’s because of how success Swiss startups can be that Baur started Swiss Start-Up Factory in the first place. He only hopes that the rest of the world will one day realize how great Fintech is. A lot of people that like to work for themselves will work for companies like Handy, which is a great benefit for both Handy as well as the person working for them. Not only does a person get to choose their hours, but they get to work with some great customers that tend to repeat their service and tip very well. Those who work for Handy are experiencing high pay from their services, and many will get some tips that can be extremely generous. Getting to work for Handy is a process like any other, and those that pass the test will become an elite Handy worker. With cleaning being the main source of Handy’s income, many cleaners are always being sought out, but it can’t just be someone who cleans homes once in a while or does it as a hobby. Handy wants workers who have the professional background in cleaning, and every worker has to know that even though they are their own boss, they must still be able to satisfy every customer. Handy has a money back guarantee that will refund any customer if they aren’t happy with their services, which means that every worker must supply great services to make sure a customer doesn’t want their money back. Customers should always want the worker to return, or they should at least want Handy’s services again in the future, which is something that’s possible if the employee does their job correctly. Handy was created with the idea that customers will always need services for their home, and this idea has paid off handsomely over the years. Wazzuppilipinas.com suggests that those that may lack the time necessary to clean their own home will contact Handy for their services, and some may have several repeat services within a single month. Even businesses have utilized the services that Handy offers, especially when it’s cleaning services. Although a business can take advantage of all of the services that Handy offers, many prefer the cleaning services because some businesses don’t have employees that specifically do cleaning, which means they need someone to clean for them. Handy has such a large customer base that they are currently bringing in well over a million dollars every single week when they book their different services. With Handy offering even more services than before, they are expecting that their revenue will go up steadily over the next year and even more in the future. Jennifer Walden, or as she is professionally known, Dr. Walden is someone who excels at making things happen despite the obstacles in front of her. She knows that if you want something you have to go out and get it. No one is gonna give you a hand out or show you the way free of charge. She attributes most of success to her ability to stay proactive. And she attributes most of her proactivity to her upbringing in her beloved birthplace of Austin, Texas. Without her tough and stern upbringing, Walden isn’t sure where she would be right now. Today, she is regarded as one of the leading plastic surgeons in the United States. She received her cosmetic schooling and training in New York City. Afterwards, she went on to establish a very successful practice in Manhattan. Word of her exploits as a plastic surgeon have echoed throughout the cosmetic industry. Harper’s Bazaar magazine recognized Walden by naming her one of the 24 best beauty surgeons in America. She also serves on the board of directors of the American Society for Aesthetic Plastic Surgery (ASAPS) A huge accomplishment for Walden when you consider how few women have ever served on the board. Because of her great work she has appeared in the media on several different occasion for separate television programs and well respected magazines. Walden has also dabbled in being an author. She is a co-author of the textbook Aesthetic Plastic Surgery. Though Jennifer Walden is very much engaged in her career she persists that nothing is more important to her than family. In fact, Walden left her very profitable practice she built from scratch in Manhattan for family reasons. While in Manhattan Walden became pregnant with her now twin sons Rex and Houston. In an effort to have them grow up in a family environment like she did, she decided to move back home to Austin. The move meant that Walden would have to start all over, a challenge she welcomed confidently. In just a few years she established a new and thriving practice in Austin, Texas.